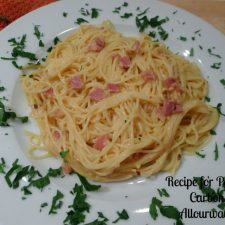 Pasta Alla Carbonara - Tasty Italian Cuisine You Won't Forget! 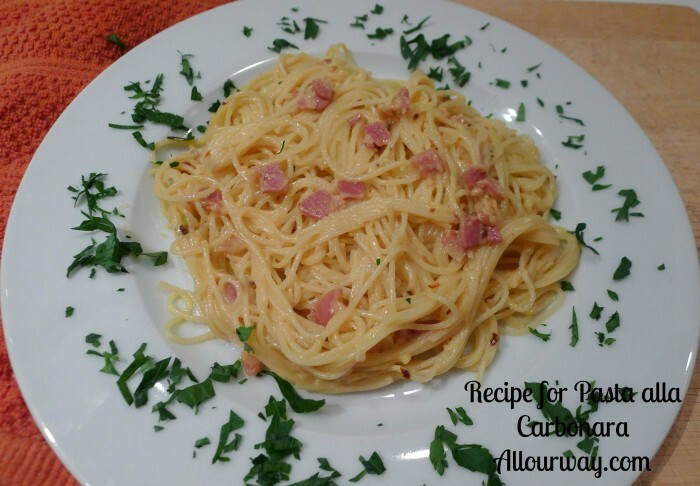 Pasta Alla Carbonara – Tasty Italian Cuisine You Won’t Forget! Once you’ve tasted Pasta alla Carbonara you’ll never forget the experience. The dish is not for the faint of heart. The key to this spectacular dish is its richness of ingredients: eggs, egg yolks, two different cheese, the spiciness of two kinds of pepper, and the wonderfully crispy, salty pan-fried nuggets of guanciale — Italian salt-cured pig jowl, or pancetta — salt-cured Italian bacon. Your first taste will have your eyes lifting up to heaven because a taste so divine could not be of this earth. Since it is so delicious everyone wants credit for the original recipe. 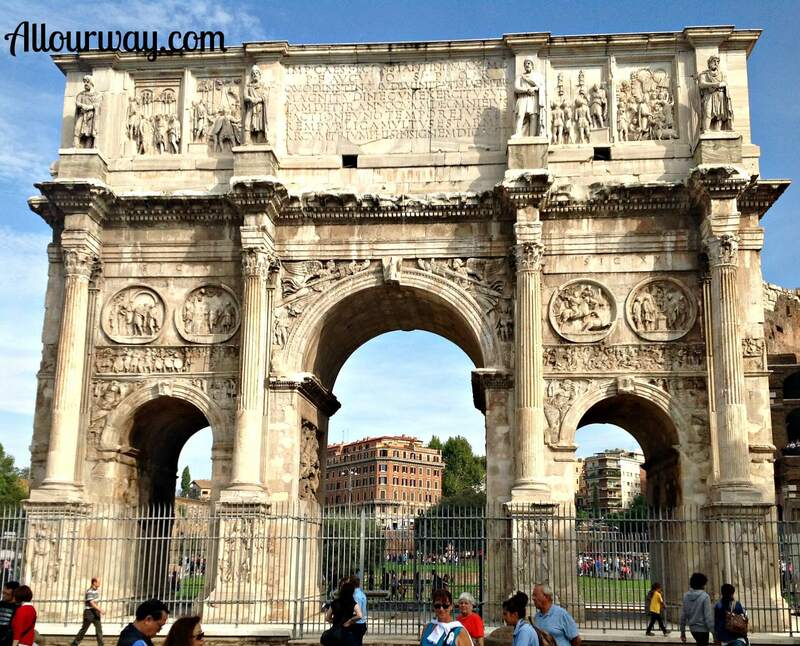 Most of the time it is attributed to the cucina romana. Competing theories give credit to the woodcutters in the Apennine mountains of the Abruzzo, coal workers because ” alla carbonara” means coal worker’s style. Another theory credits the food shortages during World War II. The Allied troops in Rome distributed military rations of powdered eggs and bacon and the clever Romans used the ingredients to make the dish. Another credit goes to the Lazio region where pasta is seasoned with eggs, lard, and pecorino cheese. The simplest and most believable story is that this type of dish always existed at a family level and at the local osterie (simple Italian restaurants, usually inexpensive) because the ingredients are simple and not impossible to obtain. It doesn’t matter where the pasta alla carbonara started, it’s part of the rustic Italian cuisine and everyone can claim it. The traditional recipe calls for the guanciale but it might be hard to find so a good substitute is the pancetta. If you decide to use bacon, be sure it is not smoked . . . smoked bacon will overpower the delicate flavor of the dish. We hope you try this simple outstanding dish. We’re sure you’ll consider this recipe a keeper. A delicious pasta made with eggs and cheese that turn into a rich sauce. The sauce is flavored with crispy, salty bits of guanciale or pancetta. Break the two eggs into a bowl, adding the yolks and both cheeses.Whisk to blend well, set aside. Bring a large pot of water to boil over high heat. Generously salt the boiling water, add the pasta and cook until al dente, 8 to 10 minutes. While pasta is cooking, heat a large skillet, add the olive oil and the guanciale or pancetta, sauté until just starting to brown about 2 minutes. Add garlic and red pepper flakes and cook another 2-3 minutes more. Add the wine and cook until reduced by half. Set aside but keep warm. When pasta is done, reserve about 1 cup of the water then drain the pasta and add the pasta to the large skillet and toss with the meat in the pan. From the 1 cup of reserved water take 1/2 cup and slowly pour into the egg mixture while stirring briskly. This tempers the eggs and prevents them from scrambling when you add them to the hot pasta. Pour the egg mixture over the pasta and toss rapidly to coat the pasta with the sauce. This is best done with tongs. If the sauce seems too thick then add a little more of the pasta water to get the consistency you like. 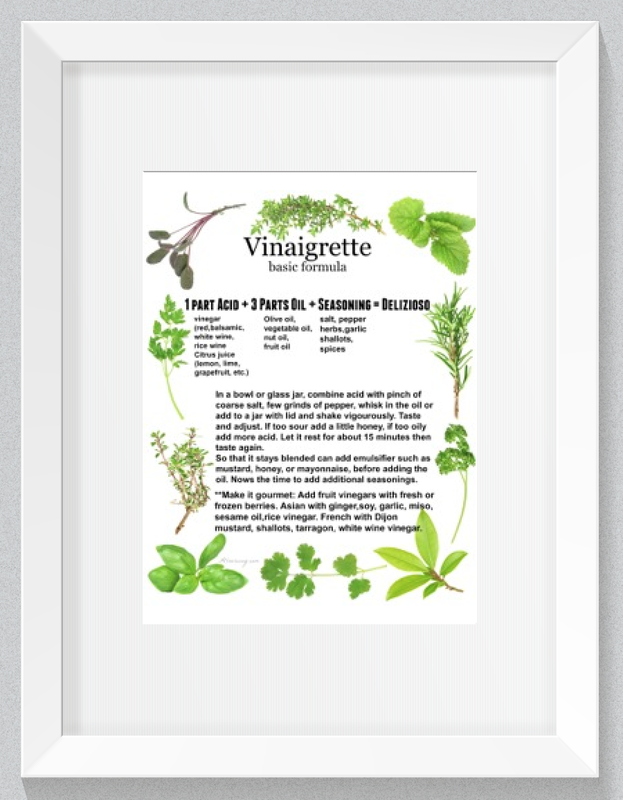 Season with coarsely ground black pepper and sprinkle generously with the Italian parsley. The heat from the pan and the pasta helps to cook the eggs. Short pasta such as the rigatoni makes it easier to toss with the sauce. This is a wonderful dish to serve to guests -- believe me there won't be any leftovers. This is one of my favorite dishes! I order it all the time in different restaurants!